Check out this great deal! 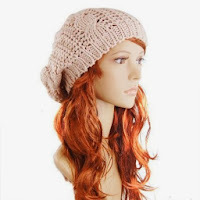 You can get the Beige Winter Lady's Warm Knitted Beret for only $3.10! This is a prefect accessory for any favorite outfit. Plus it's a very fashionable way to keep warm this winter. Handmade and knit, keep warm in winter. Fashion & casual style. Handmade and knit, keep warm in winter Fashion & casual style. The accessories are not included. The hat is Knitting blends which gives you comfortable feeling.